Beautiful and Unique Large Metal Sculptures for Your Garden! 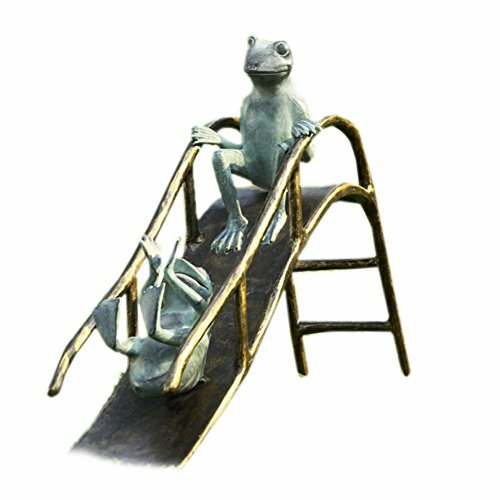 I Found The Coolest and Most Unique Cute Metal Garden Statues for Sale! As you probably know by now, if you’ve been following my work, I LOVE to find cool garden statues! One of my favorite styles, besides all the cute angels, life-size children sculptures, and animal sculptures, are also metal statues. They look absolutely amazing in a garden! My goal is to help you make your garden look cute and fun! *Is there anything cuter for a garden than cute frogs? They are having fun going down the slide! How about under a bush? The Most Unique Large Metal Garden Sculptures! A giant metal frog leaping sculpture! He has a gorgeous green and finish! He has been piped to have water flowing from his mouth if you want! He is weather resistant, so you can have him anywhere you want! 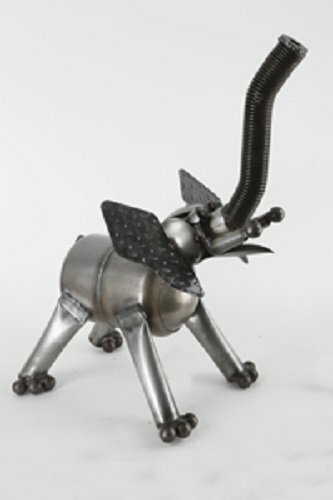 What a cute and very unique lucky elephant metal sculpture for sale! I love the fact that he was created using recycled metal! Absolutely perfect to have in your front porch or near some beautiful flowers! This is definitely a piece that will have everyone just going ‘Wow!’ every time they see it! 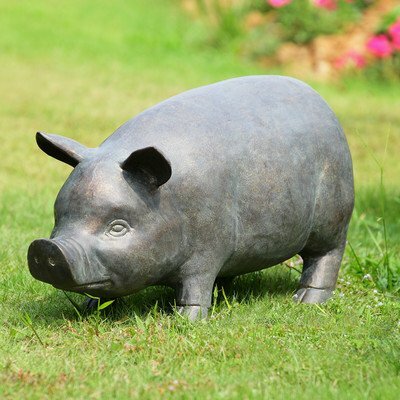 If you are like me and are always looking for the most amazing and impressive metal garden sculptures for sale, you will definitely get impressed by this cool metal pig statue with a Bluetooth speaker! I had never seen one before and I can’t contain my excitement here! I hope they keep making more! Kids are gonna love him! 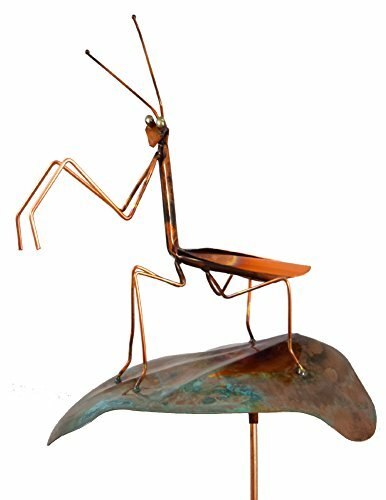 It’s a cute and fun praying mantis metal sculpture for sale! How cool and unique is it? Almost like something out of a sci-fi movie! Can you imagine how awesome it’s going to look in your garden? I bet all the kids will want to take a picture next to this cool praying mantis! 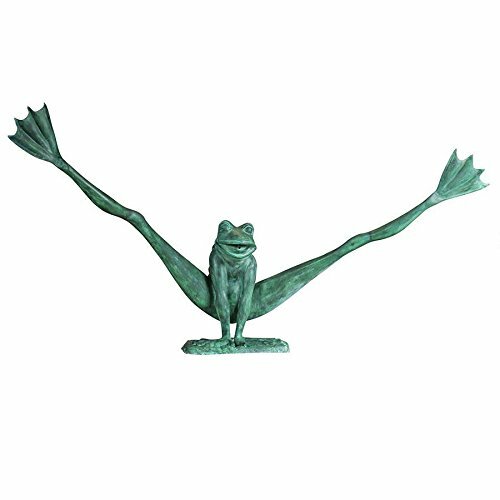 The Most FUN Outdoor Metal Statues for Sale! 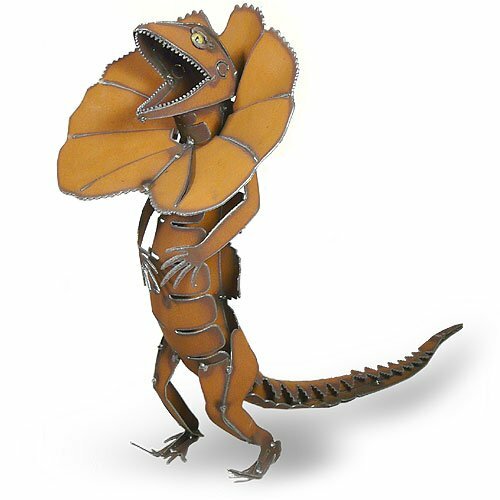 Then you are definitely gonna LOVE this ultra-cool, fun and very unique metal lizard statue for sale! I would have him on my porch! Awesome Iron Dragon Garden Sculpture With Solar Globe! I am going to blow your mind now! I bet you were never expecting this, were you? 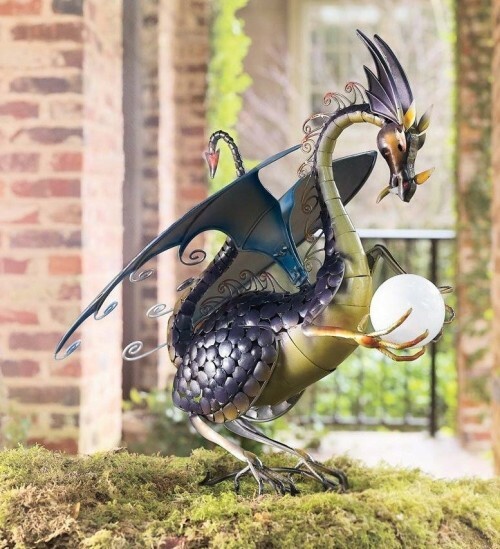 If you are a dragon lover, this is definitely the right outdoor metal sculpture for your home! 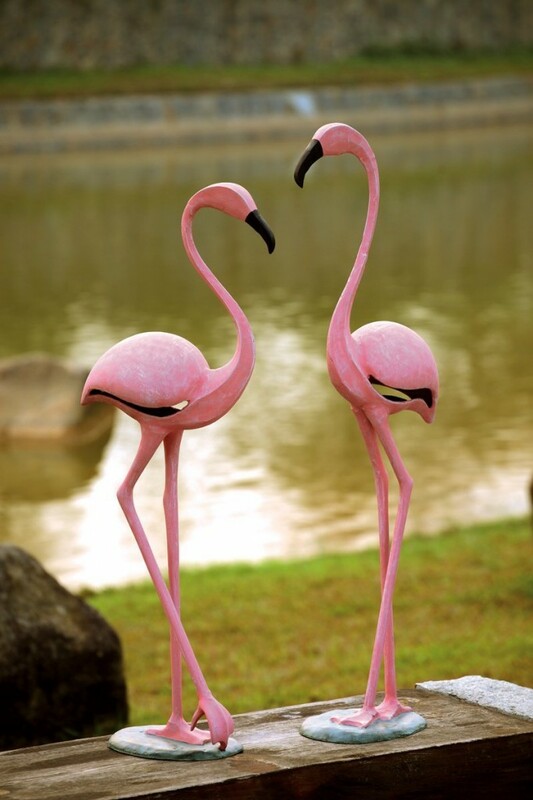 Cute Pink Flamingo Outdoor Sculptures! I had to show you this cute pink flamingo pair! They are made from aluminum and will look adorable in your front lawn! One of the houses near me has these right by their entrance and they look very cool! The pink color stands out in the green grass. I think they also make an excellent unique housewarming gift idea too! 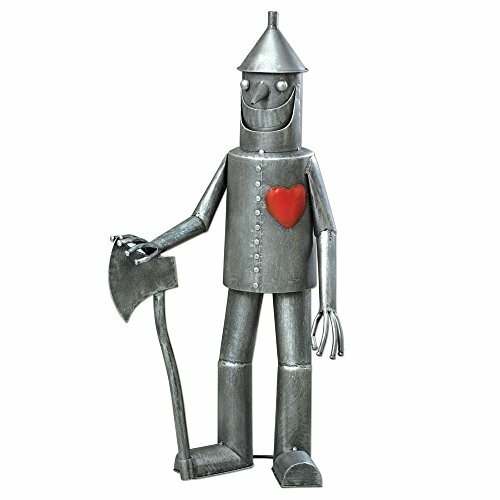 Very Unique TIN MAN Metal Garden Statue! Look who I found wandering about, so happy to have a beautiful red heart? Yes, it is a tin man! How gorgeous is this tin man iron sculpture for the garden? It will put lots of smiles on many people’s faces! I LOVE colorful metal garden statues! When I was a little girl I would be fascinated by them! 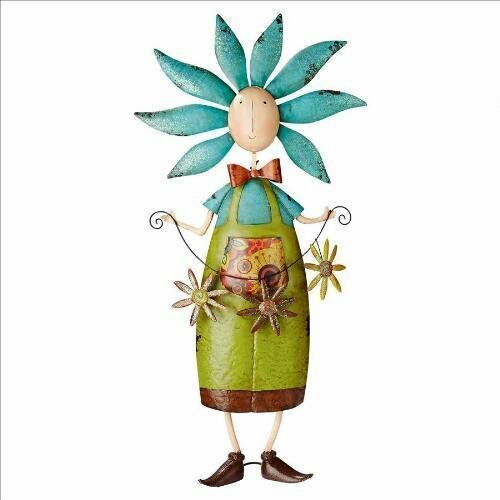 This is a gorgeous decorative cute and fun boy flower metal statue to have in your home! 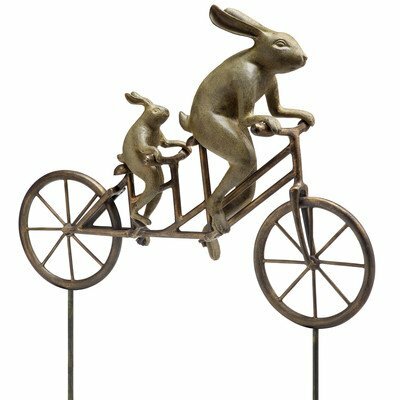 How cute are these bunnies riding a bicycle metal statue for sale? They have a very nice ‘antique’ finish! Great outdoor Easter gift idea too! 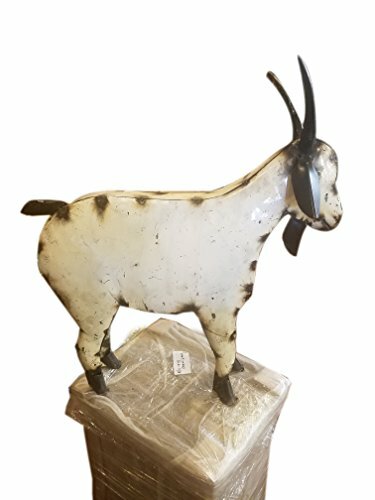 This cool metal goat statue is one of the most popular recycled metal art sculptures for sale! He has a very rustic look and he is very cute! Great gift idea for your grandmother’s garden! 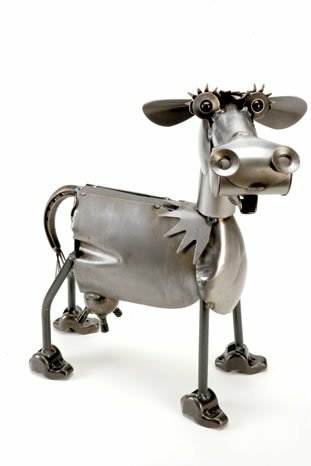 How cute is this cow recycled metal sculpture for sale? It’s the first time I see one! It will make a fun housewarming gift idea! 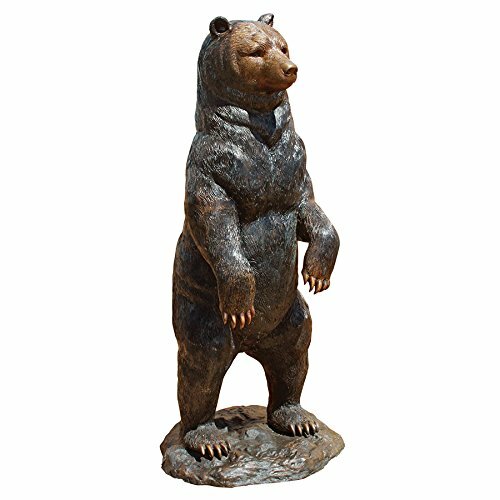 Then you are going to love this unique and very tall black bear standing bronze statue for sale! He has a very cool color-washed sepia patina finish and amazing details! 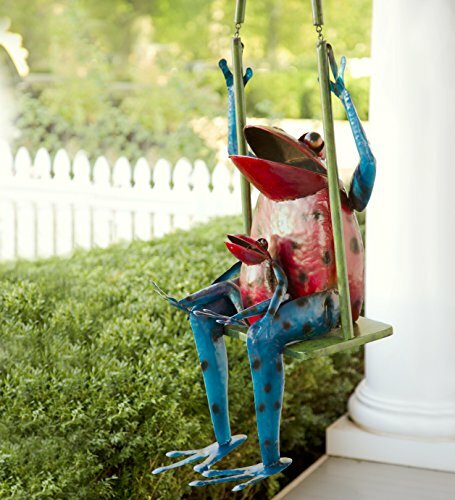 How cool, fun and unique is this very large handmade recycled colorful metal swinging frogs? They are so cute and so happy! Daddy frog is having fun with his baby frog on the swing! What a fun piece to have in your front yard or in your porch! The kids are gonna love them! *I hope you enjoyed my selections of metal garden statues! But don’t go yet! How about checking out some bronze sculptures now?